Time Guitars • View topic - Time in Burlington Records? Re: Time in Burlington Records? SollyDad & I have investigated this guitar. Here's the link. Thanks for the photos, John. Bolt on Time Kaster from Waltham. If the Overlend/EMG's are original then this is pretty cool. And the Kahler can be fixed. Late 70's? It doesn't see direct sunlight in that window. The red finish can fade with too much light. And again, Here's the link. Ha! I actually saw this post a while back but had forgotten it was Burlington Records. Too bad abut the modifications. What are they asking for it? It wouldn't take much to bring this back. I remember the person was asking around $900 in April. I did talk that price down. Considering other Kasters sold recently. 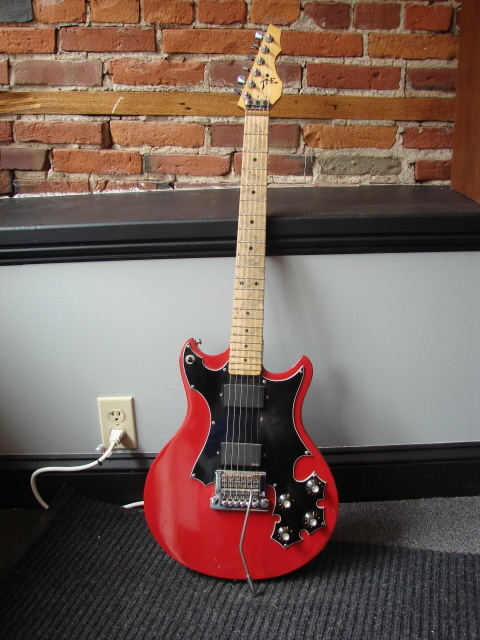 a fair price is between $550-$700 for this guitar. The reason I mentioned the EMG pickups is related to the two height adjustment screws. If these EMGs were added later, you would expect to see two empty Time pickup adjustment screw holes over each pickup. This pickup was drilled for a two screw pickup mounting. Looks like an 'inside' job! 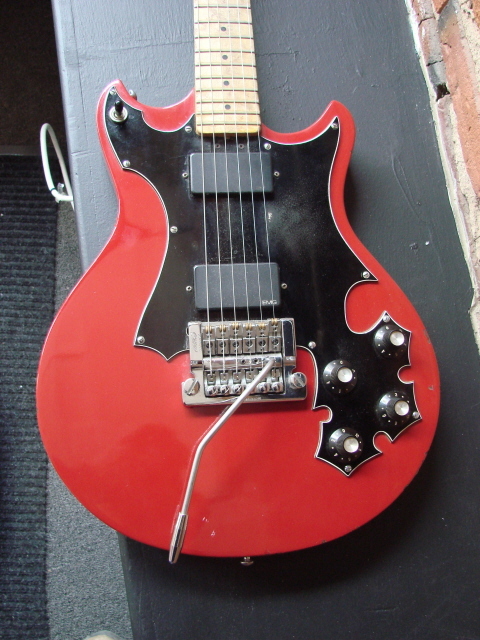 If these pickups are original to this guitar, it makes this guitar 'ahead of it's Time'. OverLend had just changed their name to EMG. EMG active pickups became huge. Huge I tell ya, just HUGE!.